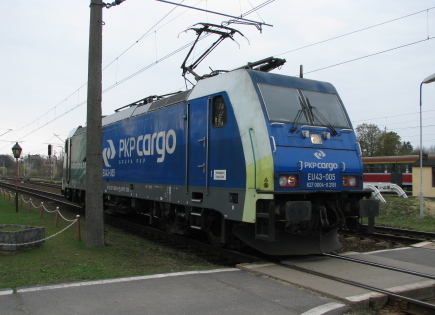 Electric passenger locomotive EP07-374 heads failed mixed traffic EU07 class loco awaiting the ‘right away’ on the 11:29 from Lodz Fabryczna to Warszawa Wschodnia on 22 May 2011. 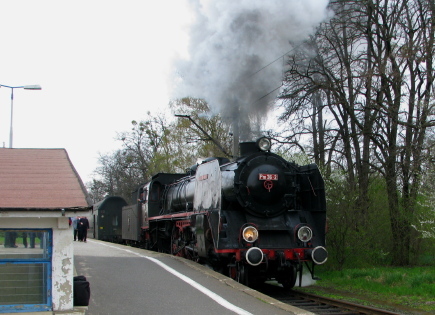 The 11:29 from Lodz Fabryczna to Warszawa Wschodnia enjoyed super haulage this morning. 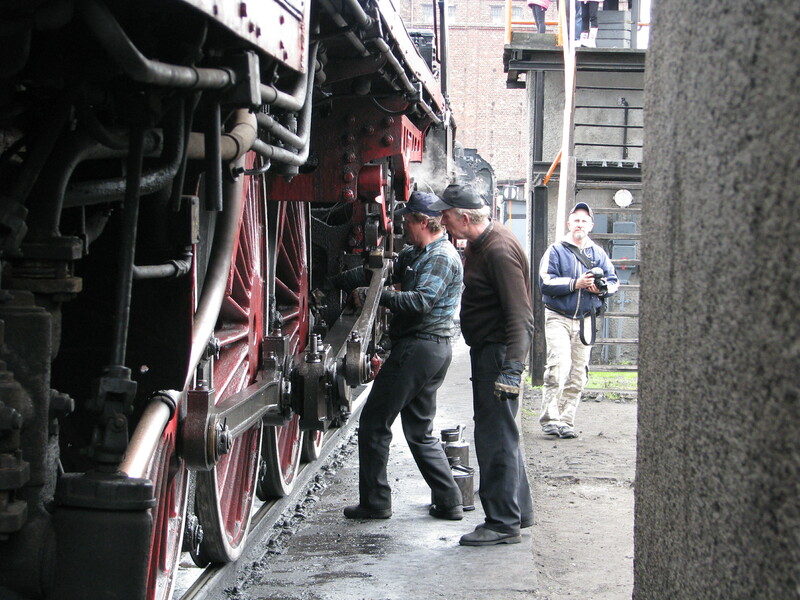 The rostered locomotive was failed because of a broken radio and EP07-374 was rostered as a pilot. 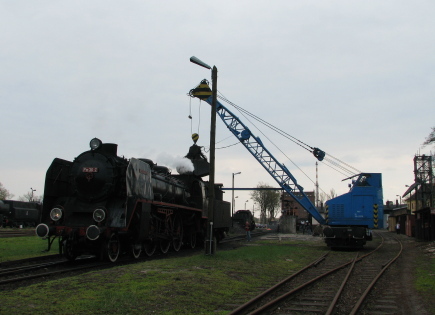 With both locomotives manned and worrking, the train made an impressive get-away from Lodz Fabryczna. German WW I ‘Feldbahn’ 0-8-0T, built Borsig 1918. Photo BTWT. A quick dash to attend a meeting in Bialystock yesterday left me with some time on my hands. 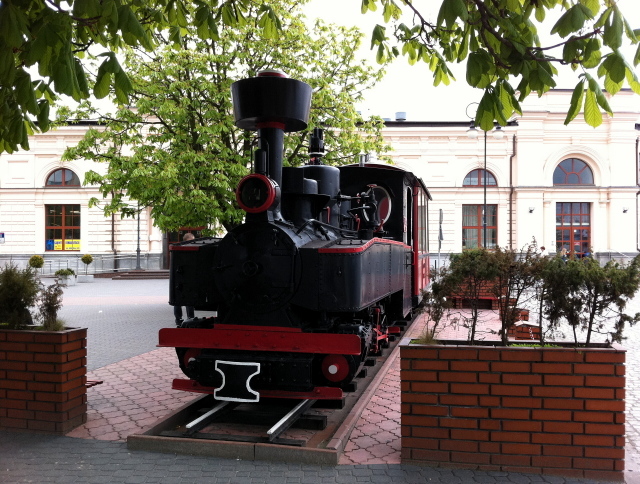 While waiting for my preferred return train to Warsaw, the Tour de Pologne, a glance out the station window revealed this fine example example of a Prussian military light railway (Feldbahn) 0-8-0T plinthed in the forecourt. TX 100? Actually Tx 201! Photo BTWT. 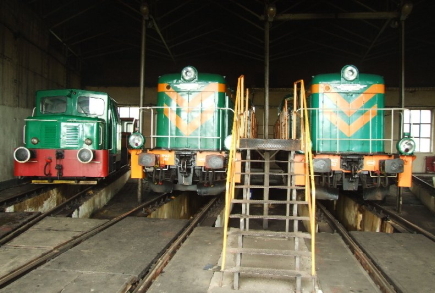 As sometimes happens in railway circles, the engine currently carries a false identity. As far as I was able to ascertain, ‘PKP TX 100’ was never part of PKP’s operational stock list. 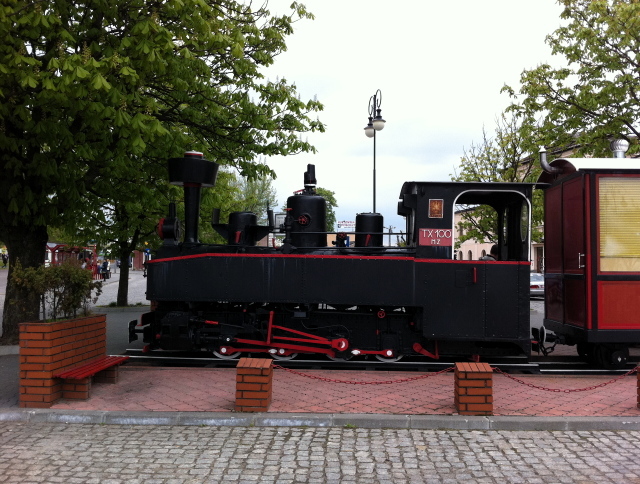 According to the locomotive’s history as published on Tomislaw Czarnecki’s excellent on-line data base Wciaz pod para… after the locomotive finished its war service it worked for a time on the Reseau de la Marne in France and then in 1945 was acquired by the Forestry Department at Czarna Bialostocka where it worked on their 600 mm forestry railway. The loco and bar coach are kept very smart. Photo BTWT. Needless to say the loco was never ‘TX 100’ but was allocated the stock number ‘Tx 201’, though whether it ever physically carried this number is a matter of conjecture. 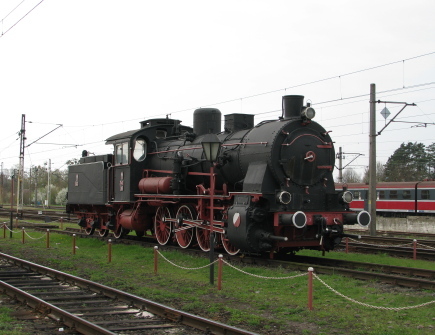 Certainly, when the locomotive was withdrawn to spend the first part of its retirement on the Zloty Stock housing estate in Bialystock, it carried the name ‘Basia’ (the diminutive of ‘Barbara’) painted on its tank sides. 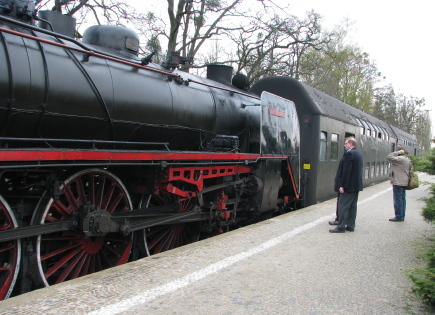 Divorcing narrow gauge steam locomotives from the railways on which they used to run is a strange Polish custom. 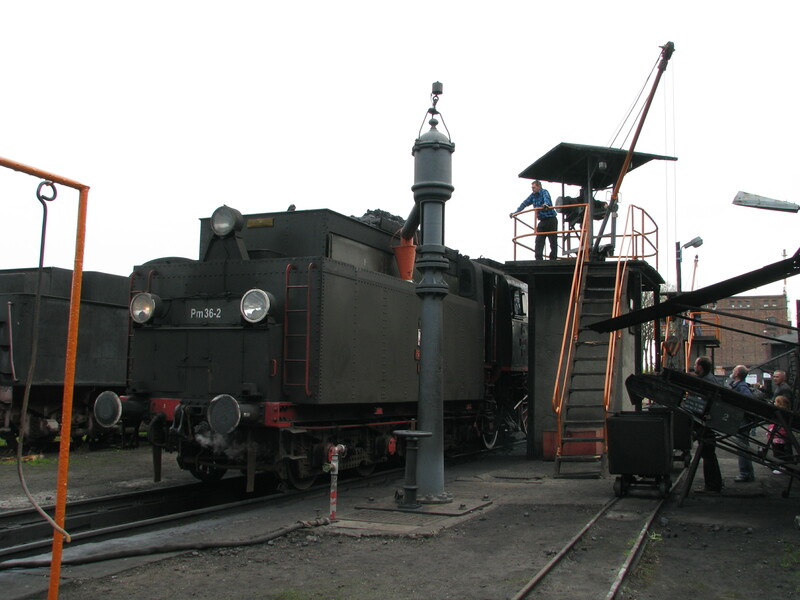 Is it to much to ask that one day the engine might be able to return to the forestry line at Czarna Bialostocka?